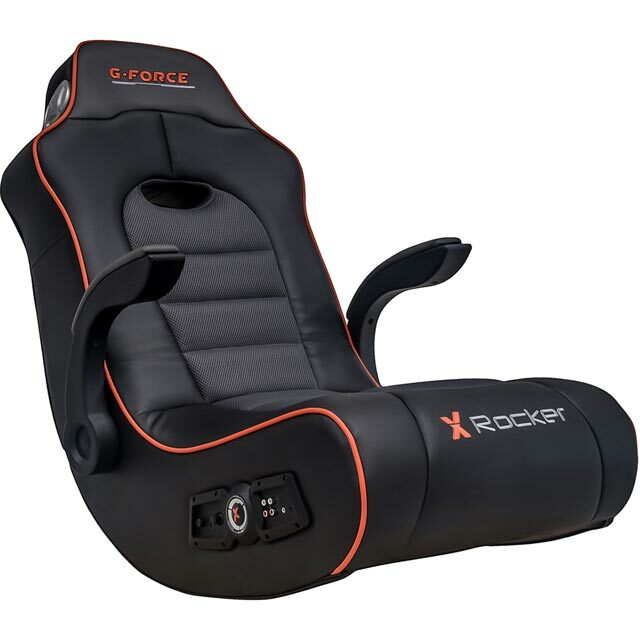 Bring the racetrack into your gaming den with this X Rocker G-Force gaming chair. The 2.1 audio setup combines two headrest mounted speakers with a built-in subwoofer for superb audio, letting you get totally immersed in the action. The chair is made from stylish faux leather material, and the foldable design makes it easy to pack away when you’ve beaten the final boss. 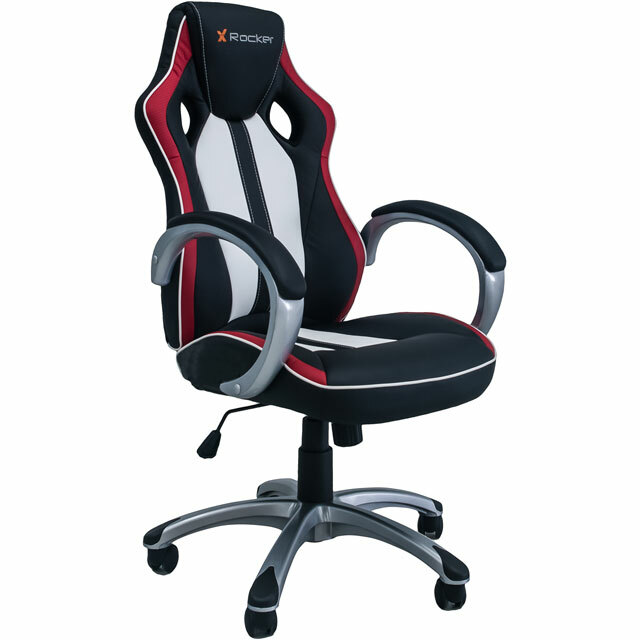 Plus, with 2 flip-up arm rests, you know you’ll be comfortable throughout the longest of gaming marathons. Really good gaming chair for the price. Comfortable if planning hours of gaming and can be folded up with ease to help transportation and/or storage. The G-Force chair is easy to assemble and even easier to connect to a console or tablet even a phone, my boys love the sound that booms through the chair making game play even more fun. I am 6ft tall and i can sit comfortably when i sneak a go, i looked around for days to find the best chair for as little money and this was the best value and specification by miles. This was a gift for my husband but is regularly taken over by our son and even myself and is it SO comfortable!! The sound from the speakers is fantastic and goes very loud if you want it to! We are very happy with it and are thinking of buying another.